The most basic form of air conditioning but also arguable the most versatile. Great for temporary applications, like camping or renting, a portable air conditioner is easily moved from one location to another. 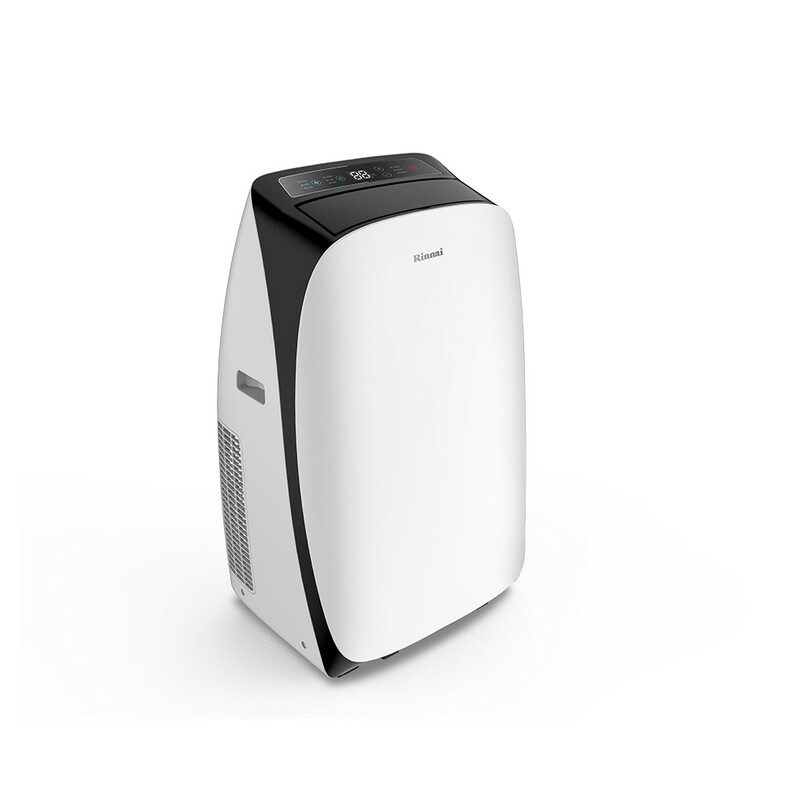 Normally only requiring a power point and window for exhausted hot air, a portable air conditioner is a quick and easily solution to ensure you can get a good nights sleep We offer the Rinnai range of Portable Air Conditioners. The usual Rinnai hallmarks of quality and efficiency have been combined with sophisticated, elegant design to create a range of Portable Air Conditioners that offer reliability, convenience and most of all, performance. 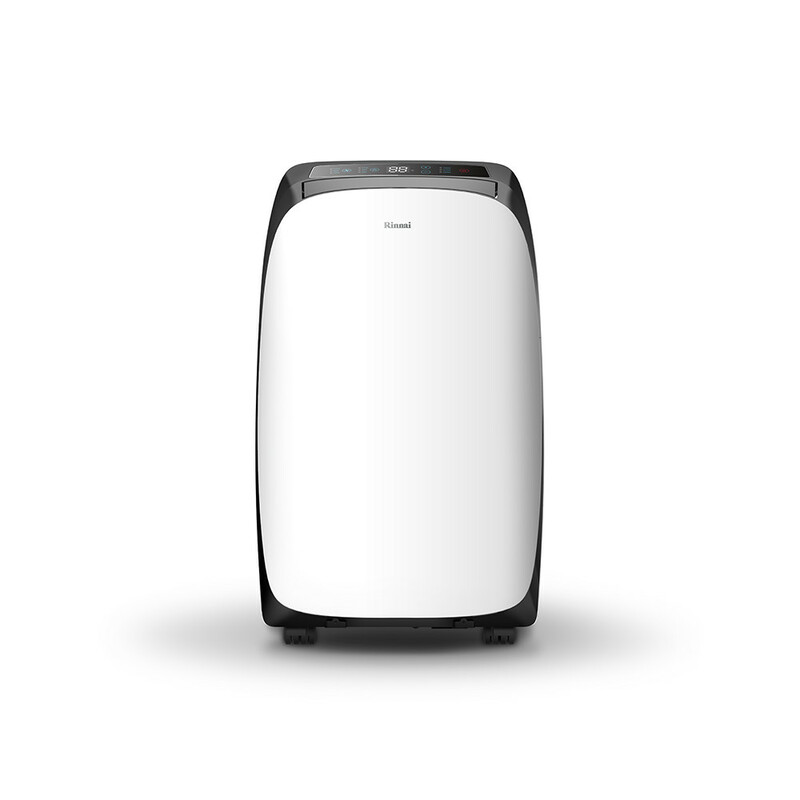 The 3.5kW Rinnai Portable Air Conditioner is a suitable size system to cool rooms up to 21m2. Simple to use and easy to set up, Rinnai portable air conditioners are the perfect solution to staying cool when the mercury rises – particularly because you can install it yourself! $799 $699 Limited Summer Special, save $100! The 4.1kW Portable Air Conditioner is an ideal size for larger bedrooms or small living areas, cooling rooms up to 25m². With powerful performance and beautiful design, you can be sure to stay cool in style this summer!